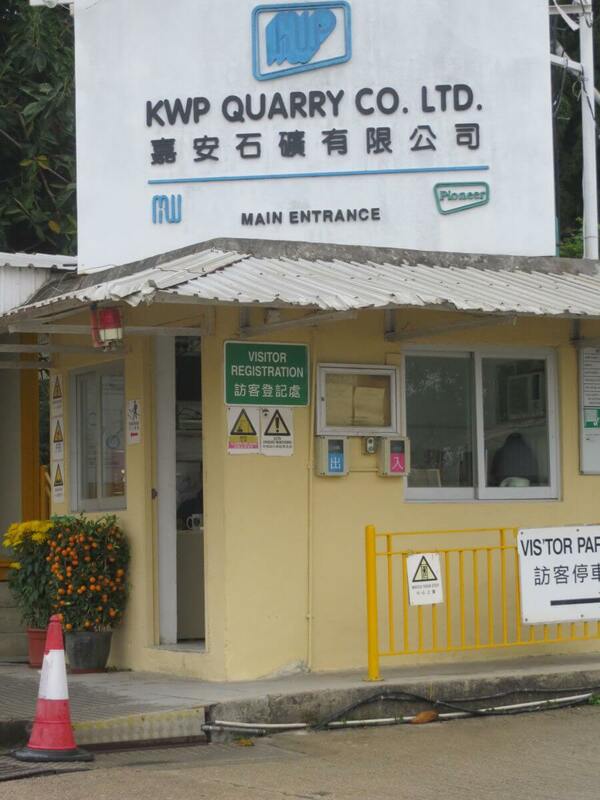 HF: From the company website “KWP Quarry Co. Ltd. is a joint venture operation between K. Wah Quarry Co. Ltd. and Pioneer Quarries (HK) Ltd. where K. Wah Quarry Co. Ltd. is the majority shareholder. 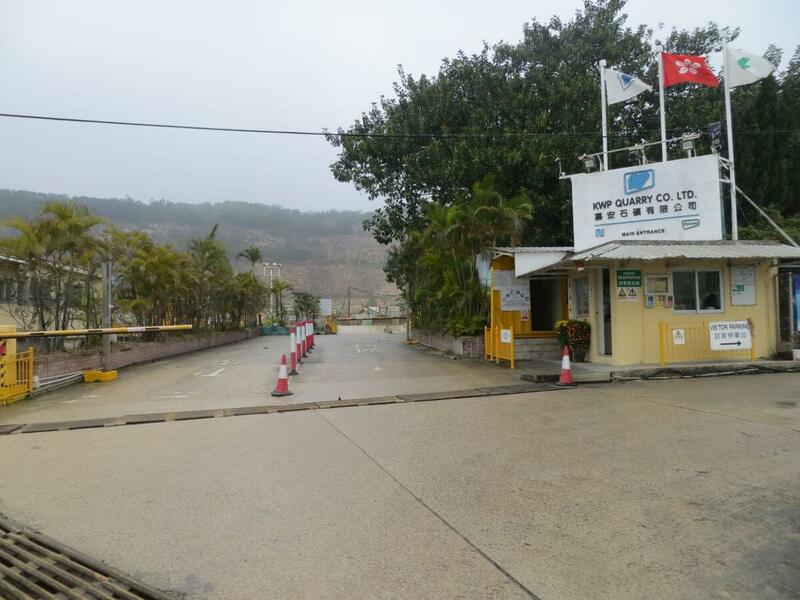 The company is operating Anderson Road Quarry under HK Government Contract NO. 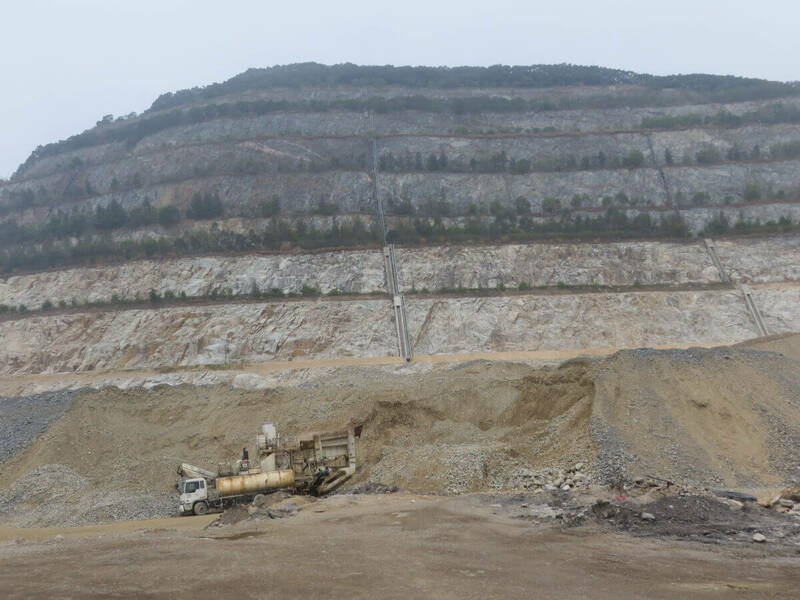 GE/96/10 “The Rehabilitation of Anderson Road Quarry”. The Contract commenced in January 1997 with completion due in December 2013. Over this time KWP will form the site to achieve a Final Landform which is geotechnically stable and visually attractive. Consultants have carried the engineering and landscape design which has been endorsed by Government. Excavation to the Final Landform will involve the removal of substantial quantities of granite and volcanic rock as well as overburden. To meet its operational objectives KWP has spent nearly $300M in new plant and equipment over the last three years. 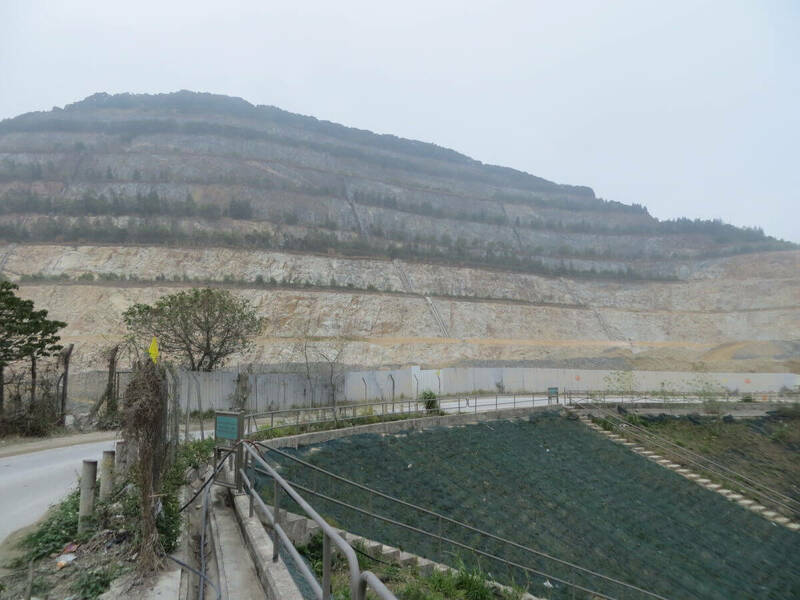 The rock is processed and distributed to the companies K. Wah Quarry and Pioneer Quarry. The product sizes are primarily 40mm, 20mm, 10mm and 5mm. I took these photos from the stunningly beautiful Anderson Road on 21st February 2015.